The first half of the month of May didn’t have a ton of noteworthy new trailers but what it did have were big ones. 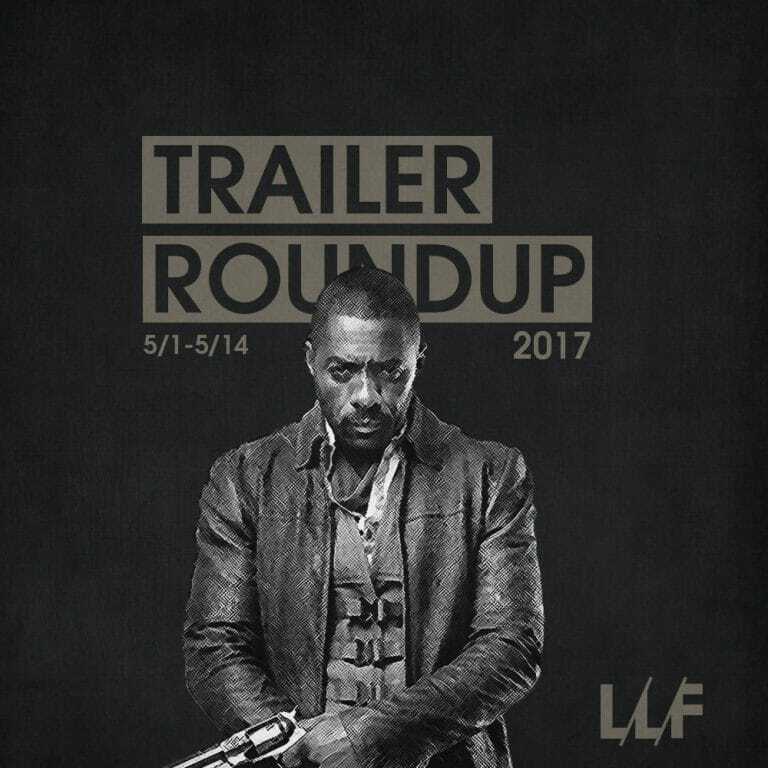 We got trailers for The Dark Tower, Blade Runner 2049, Dunkirk, It Comes At Night, and more. Check out everything I rounded up below, along with my reactions. I’m a HUGE Stephen King fan and as a huge fan of his I understand just how important The Dark Tower series is to everything he’s done. It’s an incredibly dense series that would be a nightmare to bring to the large screen. So when I heard they were doing not a direct adaptation but a sequel of sorts, I understood why they chose to go in this direction. That doesn’t mean that I don’t still have my reservations, but seeing Idris Elba as the Gunslinger and the overall high production they seem to be treating this with, I can’t help but be optimistic. Can’t wait for this one. Christopher Nolan is easily one of the best modern directors out there and if he continues on this tear he’s on I could easily see him being named among the all-time greats. Now most of his most significant work has been in the sci-fi or hyper realistic realm so I’m excited to see what he can do with a historical epic like Dunkirk. Could this do for Nolan what Saving Private Ryan did for Steven Spielberg? Silicon Valley might just be my favorite comedy series on TV these days. It’s absolutely hilarious so I’m glad to see members of its cast getting their much deserved shots at bigger opportunities. While The Big Stick is a rom-com and those are a dime a dozen, this one actually looks refreshingly new as it looks at a culture you don’t see represented too often, without being one huge cliche. It’s no secret that I’m a huge horror movie aficionado, but it’s also no secret that most modern horror movies are downright awful and quick money grabs. So when I hear about a genuinely fresh new entry in the genre that’s shaking things up, I get excited. I’ve been hearing nothing but good things about It Comes At Night and from what I can see from the trailer it might just live up to the hype. I’m there for this one, A24 has been on an absolute roll. Ridley Scott, the godfather of modern science fiction has crafted some truly memorable movies and you’d be hard pressed to find anything more memorable than 1982’s Blade Runner. It was beautiful, it was mature, it was sophisticated, and it had one of the most hauntingly open and ambiguous endings in any movie I’ve ever seen. It’s an iconic movie and any sequel to that classic has a lot to live up to. From what little I could gleam from the trailer it looks to nail the visuals and general tone, and there’s a great cast. But it’s yet to be seen if it can live up to the sophistication of it’s predecessor. Either way I’m excited to find out.